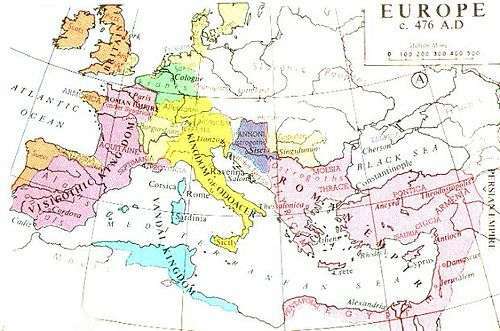 Initially, Rome's immediate neighbours were either Latin towns and villages on a tribal system similar to that of Rome, or else tribal Sabines from the Apennine hills beyond. 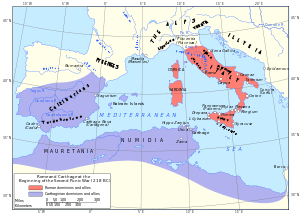 One by one, Rome defeated both the persistent Sabines and the local cities that were either under Etruscan control or else Latin towns that had cast off their Etruscan rulers, as had Rome. Rome defeated the Lavinii and Tusculi in the Battle of Lake Regillus in 496 BC, were defeated by the Veientes in the Battle of the Cremera in 477 BC, the Sabines in an unnamed battle in 449 BC, the Aequi in the Battle of Mons Algidus in 458 BC and the Battle of Corbione in 446 BC, the Volsci in the Battle of Corbione in 446 BC the Aurunci in the Battle of Aricia, the Capture of Fidenae in 435 BC and the Siege of Veii in 396 BC, and the Capture of Antium in 377 BC. After defeating the Veientes, the Romans had effectively completed the conquest of their immediate Etruscan neighbours, as well as secured their position against the immediate threat posed by the tribespeople of the Apennine hills. 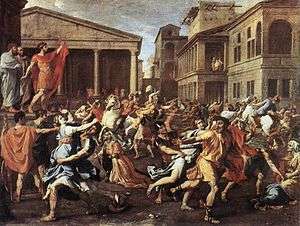 Seven years after their defeat, with Roman dominance of the area looking assured, the Samnites rose again and defeated the Romans at the Battle of Camerinum in 298 BC, to open the Third Samnite War. With this success in hand they managed to bring together a coalition of several previous enemies of Rome, all of whom were probably keen to prevent any one faction dominating the entire region. 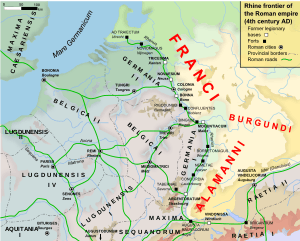 The army that faced the Romans at the Battle of Sentinum in 295 BC included Samnites, Gauls, Etruscans and Umbrians. 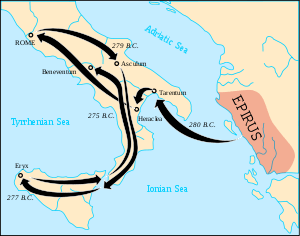 When the Roman army won a convincing victory over these combined forces it must have become clear that little could prevent Roman dominance of Italy and in the Battle of Populonia (282 BC) Rome finished off the last vestiges of Etruscan power in the region. Pompey initially assured Rome and the senate that he could defeat Caesar in battle should he march on Rome. However, by the spring of 49 BC, when Caesar crossed the Rubicon river with his invading forces and swept down the Italian peninsula towards Rome, Pompey ordered the abandonment of Rome. Caesar's army was still under-strength, with certain units remaining in Gaul, but on the other hand Pompey himself only had a small force at his command, and that with uncertain loyalty having served under Caesar. Tom Holland attributes Pompey's willingness to abandon Rome to waves of panicking refugees as an attempt to stir ancestral fears of invasions from the north. 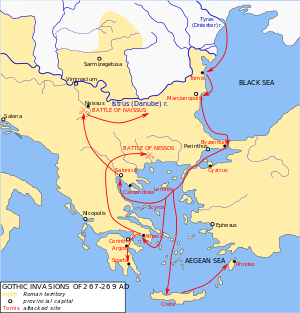 Pompey's forces retreated south towards Brundisium, and then fled to Greece. Caesar first directed his attention to the Pompeian stronghold of Iberia but following campaigning by Caesar in the Siege of Massilia and Battle of Ilerda he decided to tackle Pompey in Greece. Pompey initially defeated Caesar at the Battle of Dyrrachium in 48 BC but failed to follow up on the victory. Pompey was decisively defeated in the Battle of Pharsalus in 48 BC despite outnumbering Caesar's forces two to one. Pompey fled again, this time to Egypt, where he was murdered in an attempt to ingratiate the country with Caesar and avoid a war with Rome. The situation was complex, often with three or more usurpers in existence at once. Septimius Severus and Pescennius Niger, both rebel generals declared to be emperors by the troops they commanded, clashed for the first time in 193 AD at the Battle of Cyzicus, in which Niger was defeated. 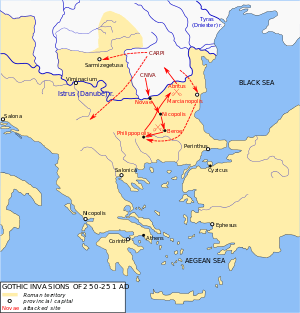 However, it took two further defeats at the Battle of Nicaea later that year and the Battle of Issus the following year, for Niger to be destroyed. Almost as soon as Niger's userpation had been ended, Severus was forced to deal with another rival for the throne in the person of Clodius Albinus, who had originally been allied to Severus. Albinus was proclaimed emperor by his troops in Britain and, crossing over to Gaul, defeated Severus' general Virius Lupus in battle, before being in turn defeated and killed in the Battle of Lugdunum by Severus himself. 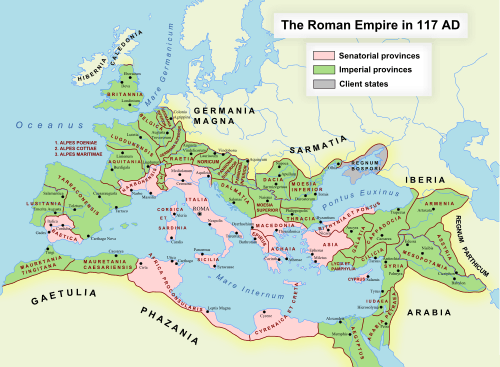 The remainder of Rome's territory, if not its nature, was defended for several decades following 410 AD largely by Flavius Aëtius, who managed to play off each of Rome's barbarian invaders against one another. In 436 AD he led a Hunnic army against the Visigoths at the Battle of Arles, and again in 436 AD at the Battle of Narbonne. 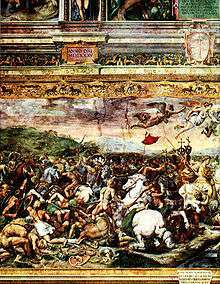 In 451 AD he led a combined army, including his former enemy the Visigoths, against the Huns at the Battle of the Catalaunian Plains, beating them so soundly that although they later sacked Concordia, Altinum, Mediolanum, Ticinum, and Patavium, they never again directly threatened Rome. Despite being the only clear champion of the Empire at this point Aëtius was slain by the Emperor Valentinian III's own hand, leading Sidonius Apollinaris to observe, "I am ignorant, sir, of your motives or provocations; I only know that you have acted like a man who has cut off his right hand with his left". ↑ Pennell, Ancient Rome, first page of Chapter III. ↑ Ronald Syme, following G. M. Hirst, has argued for 64 BC–12 AD. For a presentation on the dates see Livy. ↑ Cicero, Pro Lege Manilia, 12 or De Imperio Cn. Pompei (in favour of the Manilian Law on the command of Pompey), 66 BC. ↑ Ammianus Marcellinus, Historiae, book 31. ↑ Jordanes, The Origins and Deeds of the Goths, 138. Julius Caesar (1869). The Alexandrian War. Trans. William Alexander McDevitte and W. S. Bohn. New York: Harper & Brothers. Wikisource. Julius Caesar (1869). The African War. Trans. William Alexander McDevitte and W. S. Bohn. New York: Harper & Brothers. Wikisource. Julius Caesar (1869). The Spanish War. Trans. William Alexander McDevitte and W. S. Bohn. New York: Harper & Brothers. Wikisource. Florus (1889). Epitome of Roman History. Trans. John Selby Watson. London: George Bell & Sons. Wikisource. Procopius. History of the Wars. Trans. Henry Bronson Dewing. Wikisource. Tacitus (1876). Annals. Trans. Alfred John Church & William Jackson Brodribb. New York: Random House, Inc.. Wikisource. Goldsmith, Raymond W (1984). "An Estimate of the Size and Structure of the National Product of the Early Roman Empire" (pdf). The Review of Income and Wealth. Series. Journal of the International Association for Research in Income and Wealth. 30: 263–288. Retrieved 3 August 2009.